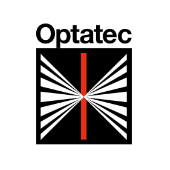 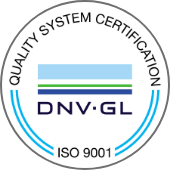 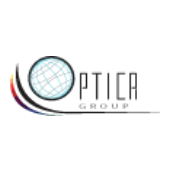 Tecnottica is able to provide to its customers a wide range of glass-molded lenses that can be used in various fields such as for non-imaging applications in the lighting industry and for concentrate lights in photovoltaics plants. 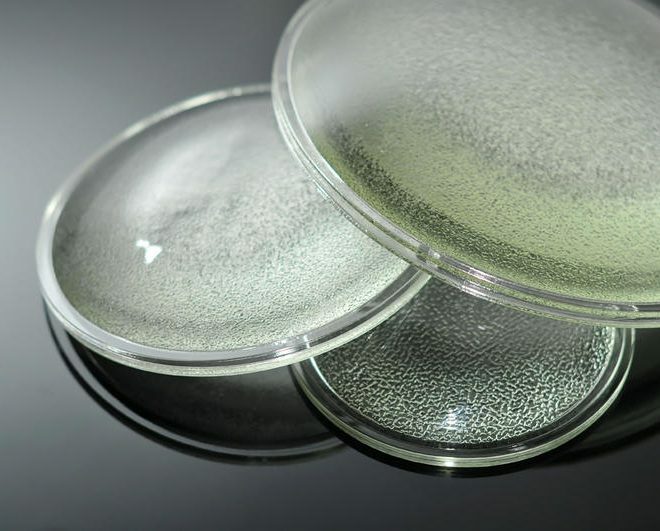 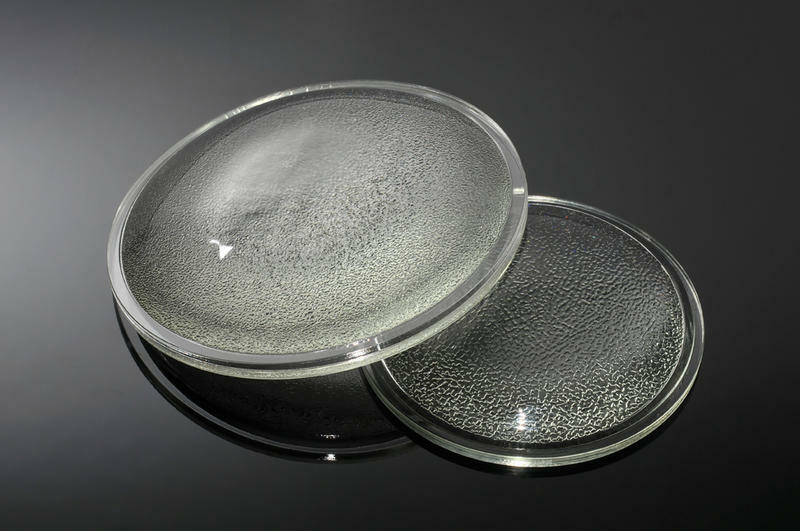 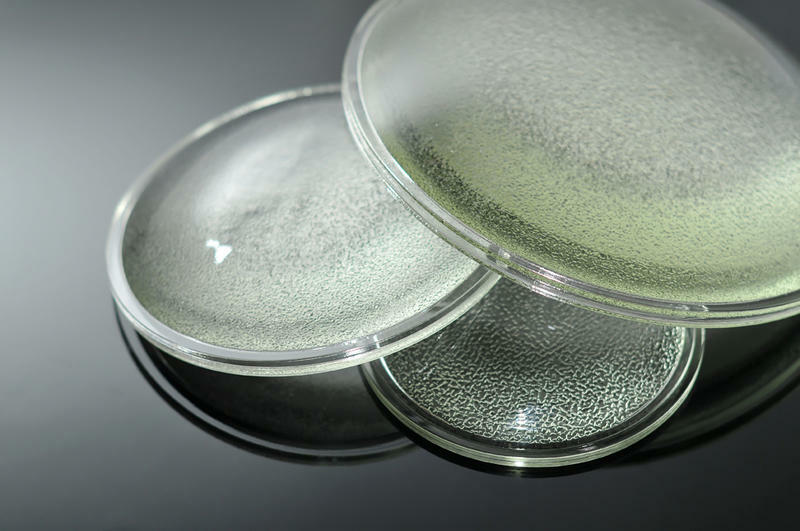 We have a wide range of anti-halo lenses (similar to large plano-convex lenses for concentration) in various sizes and formats, with the possibility for the customer to have them with their plano surfaces rough (for a diffusion effect) or polished. 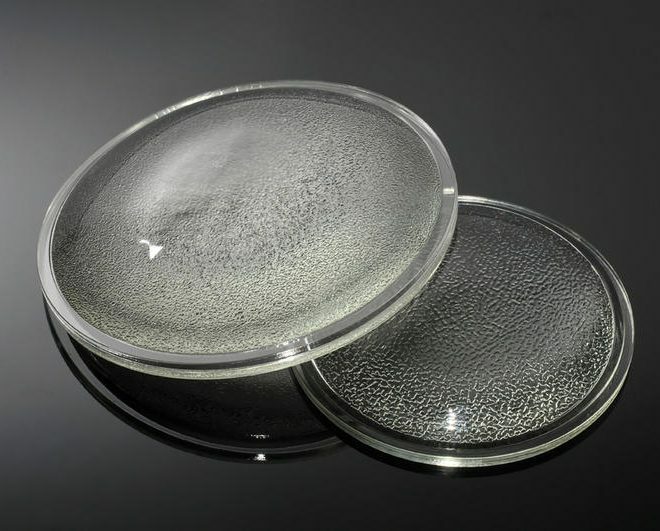 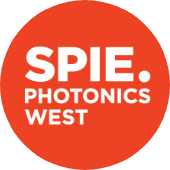 Alternatively you can also request glass-molded optical lenses for mass productions in different optical glasses by customizing shapes and sizes.